Meet the Best Dance Instructors in Rockland County! Our instructors carefully develop and pay special attention to students as they advance. Each dancer feels a sense of accomplishment and expression not found in any other sport. We boost our students confidence and discipline through our classes and performances. We believe in every one of our dancers and realize that building a strong relationship with our students is the foundation of learning. It’s our staff that makes NDC students to feel at home. Click on a teachers name to read their bio! John & Cathi began dancing at the age of 4. John studying Tap, Jazz, Acting, and Ballroom. Cathi studying Ballet, Point, Jazz, Tap, Tumbling, Acting, and Ballroom. They were Junior American Style Champions, United States Amateur Champions and United States Professional 10 Dance Champions. John & Cathi were chosen to represent the U.S. at World Amateur Championships and were part of a formation team sent to Poland as ambassadors. As Professional Champions they represented the U.S. in Japan, Germany, England, Holland and Canada. They were one of the founding teams of the American Ballroom Theatre. John & Cathi have performed on stage at the: “Joyce Theatre”, “Gershwin Gala”, “A Grand Night”, “Brooklyn Academy of Music”, “Kennedy Canter”, “Herbst Theatre”, “Lincoln Center”, Jacob’s Pillow Ted Shawn Theatre”, DTW’s Bessie Schonberg Theatre”, “Celebrate Brooklyn Theatre”, “Papermill Playhouse”, “Sadler’s Wells Theatre/England”, “Maison de la Dance/France”, “Akademie der Kunste/Germany”, “National Arts Center/Canada”. 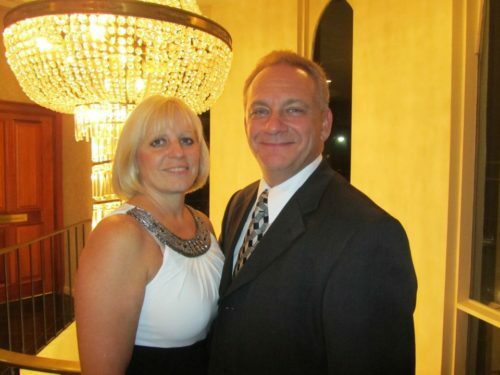 John & Cathi now own and operate “Nyemchek’s Ballroom & Performing Arts & Wheel Chair Dance Centre” in Pearl River, NY. They have celebrated over 20 years in business. They have four children, a daughter Jamie Nicole, twin sons John Joseph and Joshua Daniel and their youngest son Joseph Dante. John & Cathi travel throughout the country as World Class Adjudicators. They both hold teaching degrees with Dance Educators of America, North American Dance Teachers Association, and Imperial Society of Teachers of Dancing. They are also registered world class adjudicators with the National Dance Council of America, International DanceSport Federation, and the World Dance and DanceSport Council. John is a fellow and examiner for the NADTA and Roll Call Wheel Chair Dance. He is a certified Wheel Chair Dancing Instructor and the “Dance Director” for Roll Call Wheelchair Dance. 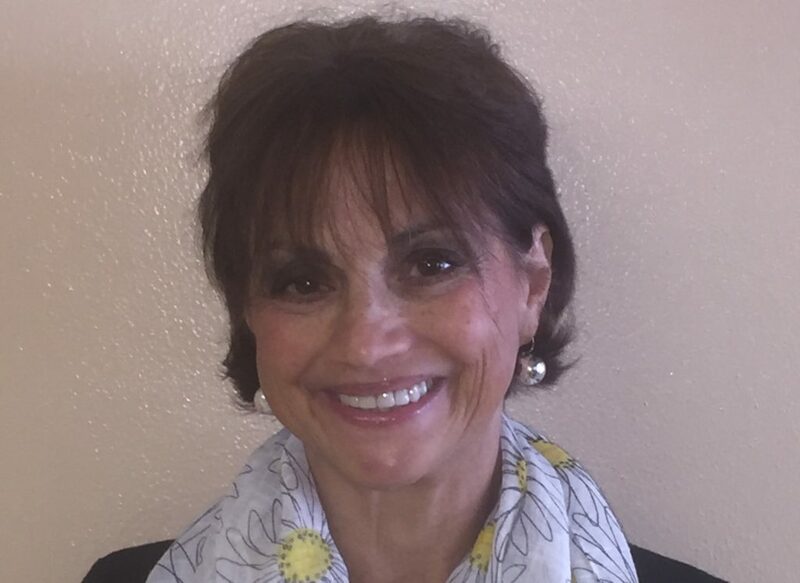 Cathi is a chairman of judges, registrar and a certified scrutineer with the NDCA. John & Cathi are members of the Fred Astaire Studios International Dance Board. John is the co-author of the “Hustle” Technique Book and has produced the Bronze Hustle videotape. John also produced the DanceSport Champions Series, its first event was held in Madison Square Garden: NYC and its second event has held in James L. Knight Arena: both events were televised by ESPN. John and Cathi produce Nyemchek’s Dance Centre’s annual Dance Recital. They also are co-organizers of “The Yankee Classic, New England & World Masters DanceSport Championships” which are held in Cambridge, Massachusetts every June. Ballet, Ballroom, Company, Hip Hop, Jazz, Kinder, Lyrical, Pre-School, Tap Wheelchair Dancing, Zumba, Zumbatomic. Jamie has been dancing since the age of 3. She has studied ballet, tap, jazz, lyrical, and hip hop. Jamie is an active performer, having performed in Disney World’s Magic Kingdom &Epcot Center, at Six Flags Great Adventure, at the March of Dimes walk-a-thon, with the Nets Dancers, and she was in theNutcracker on Broadway. Jamie has received numerous Platinum & High Gold medal placements in both Jazz andTap competitions. She has studied with world renowned instructors and she continually takes workshops andmaster classes held in the tri-state area. Jamie has performed and competed in both Ballroom and LatinDanceSport Championships receiving many first place medals. Jamie was the captain of her high schoolcheerleading team and is a COA National Cheerleading Champion. She is currently choreographing and coaching the Albertus Magnus JV and Varsity Cheerleading Teams. 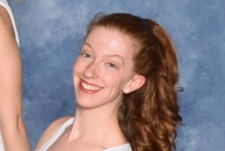 Jamie holds teaching degrees with theNorth American Dance Teachers Association (NADTA). She is a certified member of USA Dance and the National DanceCouncil of America. Jamie is registered as a Championship Adjudicator and a Scrutineer with the National Dance Counil of America. 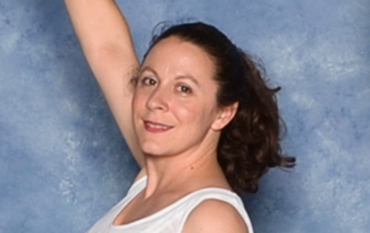 Jamie is certified in Zumba and Zumbatomic and she is a member of the ZIN network. She is a certified instructor with Roll Call Wheelchair Dance. Jamie completed her bachelors degree at Dominican College and her masters degree at Long Island University. She received a Bachelors of Science in Education with a concentration in Mathematics with a certification in First through Sixth Grade and Special Education and a is currently teaching in the Nanuet School District and is the co-organizer of “The City’s DanceSport Challenge” which is held in New York City in December annually since 2011. Ballet, Ballroom, Jazz, Hip Hop, Kinder, Lyrical, Pointe, Pre-School, Tap, Wheelchair Dancing. Jessica has been dancing since the age of 4. Throughout her years of dancing she has been trained in ballet, pointe, lyrical, hip hop, jazz, contemporary, tap and wheelchair. Jessica is a certified instructor with Roll Call Wheelchair Dance. She was the dance captain for all of her Albertus Magnus HIgh School musicals during her time there. After grauating, she went back as the assistant choreographer of the AMHS production of Beauty and the Beast. She was a member of the Saint Thomas Aquinas College Dance Team. She also acted as the captain of the Tri-State BullDolls, the dance team for a semi-professional football team, the Tri-State Bulldogs. Jessica continually takes classes and workshops in the Tri-State area. 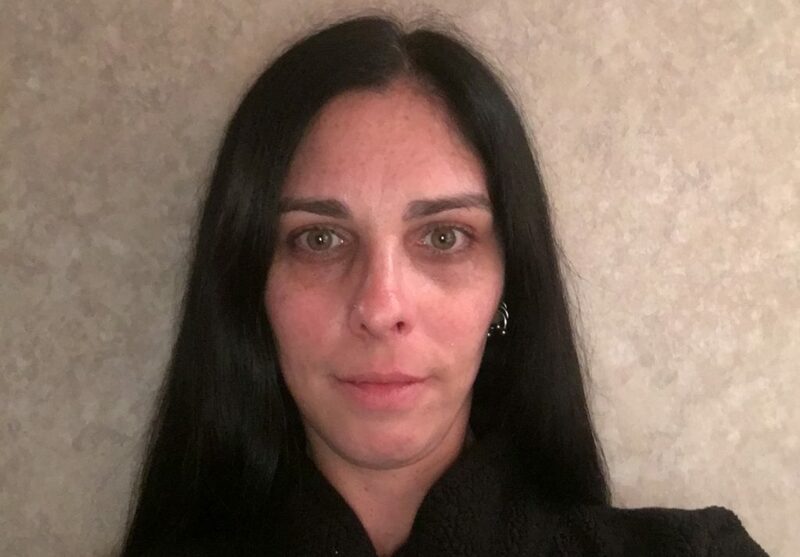 Currently, she is working on her Bachelor of Science in Education grades 1-6 with a concentration in Mathematics and a dual certification in Special Education at Saint Thomas Aquinas College. Ballet, Ballroom, Company, Jazz, Kinder, Lyrical, Musical Theater, Pre-School, Tap, Wheelchair Dancing, Yoga. Liz has been dancing since the age of 3. She has studied with many world-renowned instructors over the years. Liz has been a featured dancer in such shows as “Pippin, “Little Shop of Horrors” and “Oliver”. She also assisted in the choreography of “City Of Angels” and also co-choreographed a production of “A Funny Thing Happened On The Way To The Forum”. 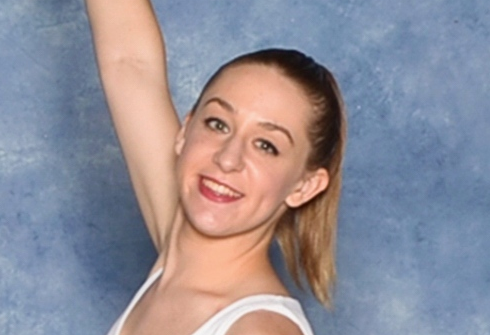 Liz was a 4-time recipient of the Tom Connor Scholarship for Dance and Voice. She was an Assistant teacher for 3 years prior to becoming an Instructor at Nyemchek’s Dance Centre in 1999. Liz holds degrees from Dance Educators of America (DEA). Liz is also certified with North American Dance Teachers Association and Roll Call Wheelchair Dance. She continually takes workshops and master classes held in the Tri-State area. In addition to teaching dance, Liz is also a Teacher’s Aide and Music Teacher at Children of Mary Nursery & Kindergarten in Stony Point, NY. In 2011 she received a Children’s Champion Award from Child Care Resources of Rockland. She was honored for enhancing the music program at Children of Mary and addressing the individual needs of the children. Liz was awarded commendations from the New York Legislature, the New York Senate and the United States Senate. Ballet, Jazz, Hip Hop, Kinder, Pre-School, Tap, Wheelchair Dancing. Nicole has been a student at Nyemchek’s Dance Centre since the age of three. She studied at Suffern High School and was captain of their Dance Team her senior year. Nicole organized and choreographed a flash mob for the Christine Cordey Hair Salon’s grand opening in Nyack, NY. She has taken master classes with Frank Hatchett, Luigi, Andy Blankenbuehler, MIa Michaels and Sonya Tayeh among others. Nicole is a certified wheelchair dance instuctor. Nicole is attending Montclair State University as a dance major. Acro, Ballet, Contemporary, Jazz, Hip Hop, Kinder, Lyrical, Pointe, Pres-School, Street Jazz, Tap. Jess has been dancing since the age of 5, and has a backround rooted in ballet and pointe. She has also studied jazz, tap and contemporary over the years. Jessica is a recent 2016 graduate from St Thomas Aquinas College, and received her Bachelor of Arts degree in English with a minor in Social Media Studies. In her junior year of college, Jessica began competing with a lyrical solo that she choreographed herself for a final project in an “American Autobiography” course. This lyrical solo received various High Gold and Platinum awards and was brougth to a National competition in the summer of 2015. Ballet, Jazz, Hip Hop, Lyrical, Pointe, Pre-School, Tap. Carly has been dancing since the age of 6. She earned a minor in dance during her studies at SUNY Oneonta, where she performed in the Terpsichorean Dance Company, and was selected to choreograph as well. She was also a member of the Oneonta State Kickline. Recently, Carly completed the Training Program intensive at Broadway Dance Center with a concentration in contemporary and jazz styles. She also appeared as a backup dancer for Italian popstar, Osvaldo Supino. Carly currently performs as a dancer for the semi-professional football team, the Tristate Bulldogs. Wheelchair Dancing, PD Dance, Developmentally Disabled Adult Dance. Diane Discepolo has loved to dance all her life. She began learning ballroom and latin dancing as an adult having the time of her life. Inspired by her father who had a spinal cord disease and a family member with MS, Diane found wheelchair dance when she went looking for a way to help a young friend who had an accident that put him in a chair. Wheelchair dance gave her a way to share her love for dance with people of all abilities – family, old friends and new ones. Diane is an executive board member of Roll Call WheelChair Dance.